TransCab extends the reach of public transit to the community of Onaping Falls. 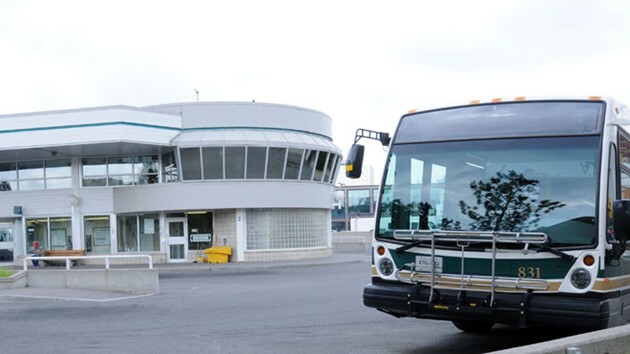 Fixed routes offer the convenience of TransCab Service without the need for advance booking when connecting to Greater Sudbury Transit buses. Simply meet the TransCabs at the following times and locations for transportation to St. Onge at Hwy 144 where you will board Greater Sudbury Transit Route 702 for service to Downtown Sudbury. At Third and Nickel: Departs at 5:50 a.m., 7:05 a.m., 2:10 p.m. and 4:10 p.m.
At Third and First: Departs at 5:53 a.m., 7:08 a.m., 2:13 p.m. and 4:13 p.m.
At Kwik-Way: Departs at 6:02 a.m., 7:17 a.m., 2:18 p.m. and 4:22 p.m.
At Onaping Dr. and Short: Departs at 6:05 a.m., 7:20 a.m., 2:21 p.m. and 4:24 p.m.
At Community Centre: Departs at 6:07 a.m., 7:22 a.m., 2:23 p.m. and 4:26 p.m.
At Lionel and Rheaume: Departs at 6:17 a.m., 7:32 a.m., 2:33 p.m. and 4:36 p.m.
At Arlington and Pine: Departs at 6:19 a.m., 7:34 a.m., 2:35 p.m. and 4:38 p.m.
At Valumart: Departs at 6:21 a.m., 7:37 a.m., 2:37 p.m. and 4:40 p.m.
At Tim Hortons: Departs at 6:24 a.m., 7:40 a.m., 2:40 p.m. and 4:43 p.m.
At Third and Nickel: Departs at 7:05 a.m. and 2:10 p.m.
At Third and First: Departs at 7:08 a.m. and 2:13 p.m.
At Kwik Way: Departs at 7:17 a.m. and 2:18 p.m.
At Onaping Drive and Short: Departs at 7:20 a.m. and 2:21 p.m.
At the Community Centre: Departs at 7:22 a.m. and 2:23 p.m.
At Lionel and Rheaume: Departs at 7:32 a.m. and 2:33 p.m.
At Arlington and Pine: Departs at 7:34 a.m. and 2:35 p.m.
At Valumart: Departs at 7:37 a.m. and 2:37 p.m.
At Tim Hortons: Departs at 7:40 a.m. and 2:40 p.m. Fixed Route TransCab service does not include transportation to or from your home. Fixed Route TransCab is included with Greater Sudbury Transit fare. There is no extra charge. Please see the schedule for Azilda/Chelmsford Route 702 for additional TransCab service times that require a reservation at least 90 minutes before your bus departure time.